The full (paid) versions of our Sight Words and Learn to Read with Phonics Apps allow for individual profiles to be set up. Each user has their own menu and can see their progress and rewards. This makes it easy for teachers to allow students to progress at their own rate when using the apps on tablets or desk-top PCs in classrooms. 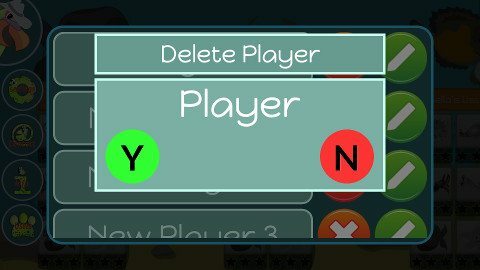 For a single player or in the Lite versions just tap on the name “Player” and the game will start. To add extra users tap the green and red people symbol – you will be taken to the list of users – to add a user scroll down until you see +ADD+ add tap it. You will be asked to tap the button 5 more times. You will be asked to tap the +ADD+ button 5 more times. You will then go to a user entry/edit/delete screen. Enter the users name and select the green Y. You will go back to the list of users. You can begin playing at this time by tapping the user’s name or you can add more users by selecting +ADD+. Go to the Users List by tapping the Parrot Head on the side of the menu. Select the user you want to delete. Tap the cross button (you will be asked to tap 5 more times). 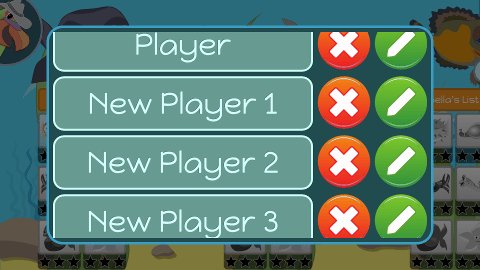 You will be taken to this screen with Delete Player as the header – select the green Y. The player and all of their stats will be erased. 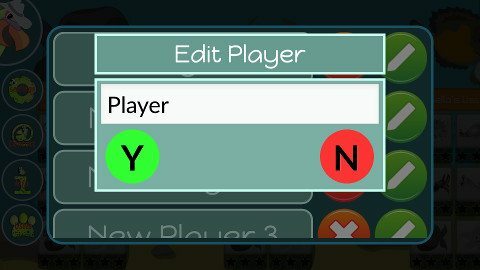 To Edit just select the green pencil button next to the name you wish to edit and you will get a pop-up screen with Edit Player as the header. Tap Y when you are done. 1. The most recent players name will be on the loading screen – to select a different player push the player icon. 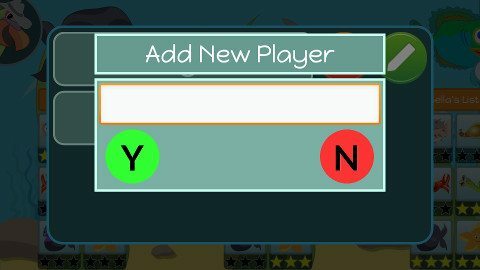 You will get a scrollable list of all the players. Tap the players name and the game will start with their stats loaded. 2. 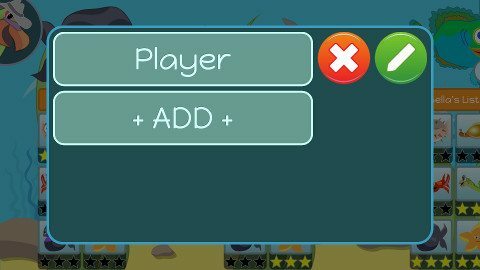 Tap the Parrot’s Head and go to the players settings button and you will get the players name screen. From here tap the red and green users button and you will get the users names. Tap one player to start the game. What can I do to keep them reading? You now have a child who has leaned the skills of reading and is probably quite successful at passing tests but are they using these skills to bring meaning to their world? Are they using them to investigate and research, and for enjoyment and communication? Bringing reading to their world helps with creativity, opens up their understanding of the current issues, allows them to form opinions and learn new things, and, with wide exposure, teaches them to filter out hearsay and innuendo. It is up to you to encourage a love of investigation. Reading is an essential life skill and the sooner children get on the path to being independent readers the easier they are going to find school. So much of what children do in class requires competent reading and comprehension skills. From an early age there is a lot of self directed instruction in classrooms and they need to be able to work in groups and individually, from written and verbal instructions. From very early on they will research internet based information and have to present their findings in writing and verbally. Reading to them regularly allows them to enjoy the stories in books and novels that are above their reading capability. Read a chapter a day after dinner. Read along with them, filling in unknown words, so they get to feel the rhythm of the normal rate of reading. Take turns in reading aloud – one paragraph, page, sentence or chapter each. Allow them to read books of all difficulty levels. Don’t worry if they choose “easy” books. Encourage them to take a book to bed to read before “lights out”. A bed lamp is a useful reading aid. Encourage them to do real world reading as often as possible. Read street signs, recipes, ingredient lists on packaged foods, shopping lists, menus – anything and everything. Talk, discuss, explain, sing – build their vocabulary and general knowledge. It is hard to work out a word if you have never heard it before. Find some good reading apps. Have them send emails or text messages to significant people in their life, like grandparents, to tell them what they have been doing. Use a camera to take photos of events, put it on to a text document and write a caption. Using a program like Microsoft OneNote would allow them to document things that are important to them. Using reading for enjoyment and to help them add to and decipher their world is its real purpose. They should begin to do this as soon as they are able. How do I build reading skills? Reading should be in context and for a purpose as much as possible but short, fun, focussed skill building sessions can be really helpful. Try not to let a skill session go for more than 15 minutes, but do them every day for best effect. There are about 200 words that make up a large percentage of what we read. Being able to easily recognise each of these words will give them a lot of confidence. You could use Dolch, Fry, Magic 200 or any other list. It doesn’t really matter. 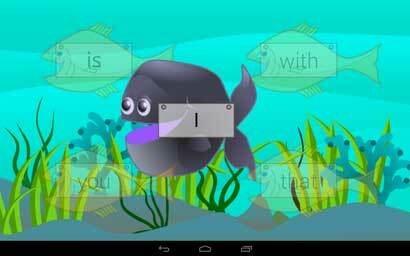 You can use flash cards, games, or an App like our Parrotfish Sight Words App for practice. Phonics skills should be taught at the same time as Sight Words. This is much harder for parents to get right, a good phonics app (Parrotfish Phonics introduces the sounds in the accepted order) will help. Start with single sounds then as they know some of them use them to build simple 3 letter words such as cat, ham etc then sh, th, wh, qu, ch, then progress to longer blended letters. From here there are the pairs of letters such as oa, ea, ai, ar, er, ..
Blending – when shown a word they say the sounds and join them together to ”sound out” the word. Segmenting – they write or tell you the sounds that make up a word that is said to them. Write a sentence, read it with them then cut it up. Get them to make the sentence. Ensure they read it to see if it makes sense. See if they can make other sentences with some, or all, of the words. Make the sentence and hide one of the words. Have them read the sentence and work out what is missing. Think of any other words that could make sense. Don’t forget real world situations. Look at road signs, shopping lists, signs and labels anything that is written. Learning to read is like learning any other skill, it is made up of sub skills that all need to be learned and practised. The more practice they get the faster they will progress towards mastery and the better they will cope with learning in other subject areas. What signs to I look for in a developing good reader? Do they read easy texts smoothly? If a child’s reading is slow and laboured or they take an abnormal amount of time to work out most of the words it is difficult for them to understand what is being read. The book is too hard for them. Find an easier book, they are going to be reading for meaning first and foremost so need to be able to read enough of the text to get some meaning from it. Do they know most of the words? If a lot of effort is being put into working out many of the individual words then the book is too hard and they may need to work on their sight words. There should be a certain amount of fluency or meaning is too hard to grasp and that, after all, is the purpose of reading. Do they use a variety of strategies when they come across unfamiliar words? Do they understand what they’re reading? Look for the following signs. A normal child won’t sit and stare at a book for any length of time without actually reading or engaging with it. Do they read alone and engage in the reading (ie laughing etc)? Can they answer a few questions about a piece of text they have read? Helping your child in their progress to becoming an independent reader is an investment in their future and it can be fun and rewarding for both of you. It is important that they see you read and interact with texts. You are their first and most important role model. Where do I get the word list? Get a word list from the child’s teacher, download them from the resources section of our web site, www.parrotfish.com.au or do an internet search. Make 2 copies of each sheet, preferably on card or something that you can’t see through. Cut out the words. Lay all the cards face down. Take turns, turning over a pair of cards, read each one, if they don’t match turn them back face down and try again. If the words match, the person who made the match takes the cards. The player with the most cards at the end of the game wins. Cut each of the words in half horizontally. Have the child match the tops and bottoms of the words together. For initial support use the back boards to build the words on, later move on to building them without the base board. Cut each of the cards up into 4 parts like a jigsaw. Have the child reassemble the words and glue them onto a piece of paper. For added support match them and glue them on to the whole word. Print out a couple of sets of letters of the alphabet. Use a font that is similar to what is being taught at school, later pick some different fonts to assist with generalisation and awareness of different letter shapes. Make the words out of the letter cards. Start with a small set of letters – just the letters in the word, then build up with a few extra letters, then later with a full alphabet. Look at a word, remember it – build the word out of letters without the cue card, as suggested start with a few letters. When the child gets stuck allow them to look at the word again and again try to remember it and turn it face down again before continuing. Look at a word, say and memorise it. Tell the child to shut their eyes and remember the word then look at it again. Hide the word then ask the child to find the word on the base card. Look again at the word card and check to see if it is right. Make up sentences using the sight words cards. Use some of the blank ones to add the child’s own words. Jumble up the sentence and have them rebuild it. In the early stages you may need to write the sentence so they can match the words to the sentence. Print out the word list in your selected font. 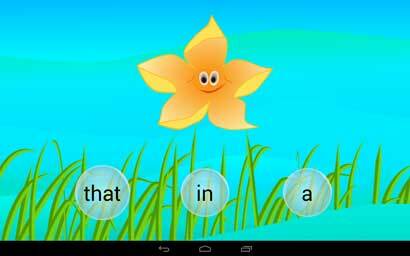 Pre-test the child prior to commencing on the Parrotfish Sight Words Game App. Check progress each one to 2 weeks. Provide the list to the child to use as a spelling resource when writing. 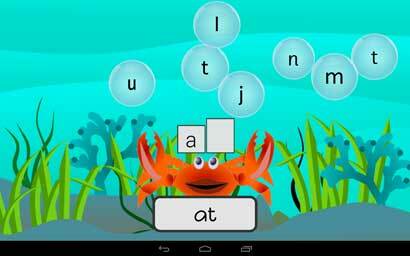 Parrotfish sight words app is available in the Amazon, IOS and Android stores. My Child is not reading well – is there a problem? I was recently asked what to about an 8 year old child whose reading was not bad enough to warrant remedial help at school yet his mother felt that he wasn’t a competent reader. By 8 many children are capable of reading independently. “The Hobbit” and novels of a similar difficulty would not be outside the interest or capability of many 8 year olds and yet standardised reading tests do not expect children to be able to read at this level. The problem is that if they can’t read well by this age they often falter in increasing their reading skills and they just seem to stop progressing. There is very little targeted reading skill instruction in the primary years so many of these children go on to have difficulty completing work in later years. They can read – sort of – but so much energy and time is expended in reading that they struggle to complete tasks that involve reading. Go for your gut feeling here. There are lots of tests but if something is worrying you then you are probably right. Listen to them read a real book, is it smooth or are they taking time to think out more than 20% of the words? Do they understand what they are reading – ask what the page was about? Do they read alone or become “wrapped” in a book? If they giggle or share funny bits with you then you know they are understanding it. Not many kids will spend ½ an hour reading quietly if they don’t get it! Check out their sight word and phonics knowledge. There are plenty of resources on the web. You will probably find that they are stronger in one area than the other and have learnt to rely on that skill only. Work on both. Find out what their strengths are, capitalise on them and use them to build confidence but also work on their weaknesses. Let’s try to build those pathways so they can use all the reading / decoding strategies available to them. 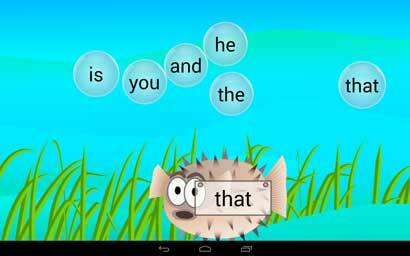 This sight words app should be used in conjunction with a systematic decoding program and exposure to lots of literature to teach that meaning and enjoyment is of utmost importance and the real reason we learn to read. For a child to read fluently they must be able to decode efficiently and have a good body of instantly recognisable sight words. This frees them to spend their energy on comprehending the story. A good bank of sight words which can be recognised instantly, helps students gain success in reading. It gives them a structure around which to build other skills such as comprehension and decoding, and the confidence to take risks when reading texts. Most children will never need to be taught to the end of the list of 200+ words, as once they are really reading, many words will be learnt in context. Don’t force competent readers to continue on through the list, and certainly not in one year. It could take some learners 2 to 3 years to get through the list, typically the entire 200+ words should be mastered before the child is 8 years old, however, competent learners will know them all much earlier. You don’t need to wait until the child starts school, you can start introducing a child to sight words in the year before going to school. The basic sight words make up about half the words that the beginning reader will be exposed to in their reading and writing so being able to recognise them quickly and write them easily is a big step to becoming a confident reader. A child should be able to read the majority of words in a text before they are asked to attempt to read it, so having a bank of words they can recognise allows them to concentrate on meaning. Where do I find the Sight Words List? There are lots of different lists of sight words – Dolch, Fry, and Magic 100 are most commonly used in schools. There are about 100 basic words but the lists can go on to up to 350 words. An internet search will provide lots of lists or see the links at the end of this article for lists to match our Parrotfish Sight Words App. What are the lists different? Sometimes these lists will be ordered in years that the child will be learning them and sometimes in order of frequency in the written language. Although many of the words on the lists may differ due to the year that they were developed, the geographical location, empirical data and samples used, it doesn’t really matter what list is used. What is important is that the child is learning to use memory skills and developing strategies to memorise these words. These strategies will later be applied to lots of different learning situations – not just reading. Parents can assist this learning by practising the words with them using games and getting them to read the words from flash cards at increasing speed. See my article on “Ideas for Learning Sight Words”. 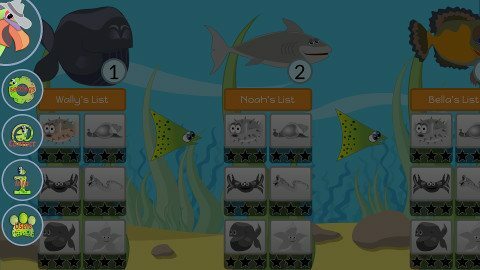 Our app-Parrotfish sight words has 6 different games that require different reading strategies. This app has been proven to work, is great for practising the words and gives immediate feedback. 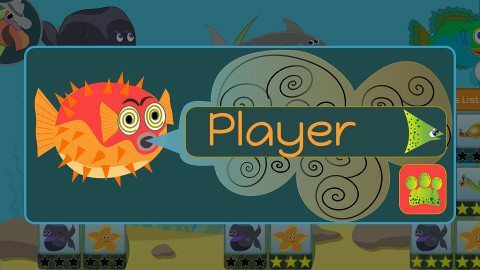 The child has to match words in bubbles to the words on the fish by dragging the all matching words on to Peter the puffer fish. For each word correct the fish blows up a little. A second, red toned fish follows, it carries the same word but moves a bit faster. The red fish is a bit tricky, we are building instant recognition. This is a classic memory game. They tap 2 cards, read and remember where they are to find the matching words. The words are repeated each time they are turned over and again before they leave the screen. Loads of repetition here. The whale comes on the screen and the word is repeated a couple of times. It then disappears and 5 fish appear each with a different word. The child has to identify the word that was on the whale. The star says a word. The child has to find the word that Stella says and drag it on to her. They can tap Stella at any time to hear the word again. The crab holds up cards showing the word shape. The word is written below the cards. The letters that spell the word need to be dragged onto the cards in the correct order to spell out the word. They can tap Clara to hear her repeat the word. This requires memory and logic. There is a word shown on the egg, it slowly disappears but can be shown again by tapping it. They are to read and remember the word in Edgar’s egg then only tap the words that don’t match the word in the egg. The egg grows and hatches. These ideas will help kids spell, identify and remember their sight words – the activities are grouped in order of difficulty. Being able to spell the words correctly isn’t necessary but since these words make up such a large percentage of our written language being able to write them will help with confidence in written tasks. Rainbow words – Write the words and trace each one in lots of different colours – use pencils, textas, chalk . .
Spaghetti words – write the words then cover them by making the letters out of cooked spaghetti, wait for the spaghetti to cool – no burnt fingers please! Snap – This is good for revision, you can use all the cards from previous weeks. You need at least 2 copies of each word card. Split the deck among the players. Take turns putting the top card down on a centre pile as they say the word. If the word matches the one previously played anyone can call “SNAP” and place their hand on the pile. They get the pile of words. The person who has most words at the end of the game wins. Write it how? – use a large piece of paper, write it big, write it tiny, write it sideways . . . Sand Paper – On the beach, in the dirt, take any opportunity – write the words with a finger, with a stick . . . There are lots of Apps and computer games that teach sight words. A search on any of the stores will give you plenty to choose from.